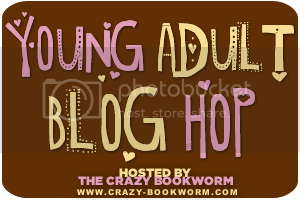 *If you post about anything related to the young adult genre, you can enter! *You do not need an actual blog to enter. If you share your YA love through Youtube, A Facebook page, a Tumblr account, etc. You can enter it below. *Please only enter once. If you run a Youtube page AND a Blog please chose only one to link to. *You must post about the blog hop to enter. *The post must contain the Blog Hop button and the answer to that week's question. *If you would like your blog featured, simply enter the blog hop and/or comment. When it comes to "Summer Reading" do you prefer the lighter, fluffier reads, or the more heavy, dramatic reads? A: I don't know why I like to torcher myself but I always enjoy the reads the more dramatic reads, even ones that make me have a good cry. I like connecting with the characters and feeling with/for them. Sometimes I like to break up the heavier reads with a light, fun read as well. I love a little bit of everything! Really thanks author for your nice site and tropic adult.